We welcome visitors to our organic vineyard and boutique winery for an escorted tour and opportunity to try our wines. For a real hands-on experience visit us in April during our harvest season. You will be given an opportunity to be your own winemaker! You will first pick your grapes, then with our assistance you will crush and press the grapes and start the fermentation process. Your wine will need a personalized label and we will help you design it. We will then undertake to nurture your wine as it develops into your very own vintage. When fermentation is complete we will bottle the wine under your own special label then ship it to you complete with photo album of you making the wine. A bottle of your own wine must be the ultimate gift for friends, family and corporate clients. This special feature is by prior appointment only. The Remarkable story began in 2003 when the founder and owner of Remarkable Wines, Richard Guthrey, purchased 4 hectares of bare land in the Gibbston Valley in Central Otago. The acclaimed viticulturist, Robin Dicey was responsible for developing this land and planting Pinot Noir grapes. Our first vintage was harvested in 2006 and the grapes taken to Maude Wines in Wanaka to be made into wine. Two years later Richard entered this wine in the International Wines & Spirits Competition in London (IWSC). The IWSC is the world’s largest wine competition with over 8,000 wines entered every year. The Remarkable 2006 Gibbston Pinot Noir was awarded a gold medal and the trophy for the champion wine in the Pinot Noir division. In 2007 Richard sold his Auckland based coach tour business and purchased an established 4 hectare vineyard on Cairnmuir Road in Bannockburn (near Cromwell). This vineyard had been planted 10 years earlier in Pinot Noir and Riesling vines and was supplying grapes to Carrick Wines across the road. Richard moved down to Bannockburn from his home in Auckland and began by building a large barn on the property. This barn comprised 2 bedroom accommodation upstairs and a large workshop and space for a small winery below. His intention was to be primarily a grower, selling most of his crop to Carrick and producing a little wine to sell as a second source of income. Thanks to the publicity generated by the winning of the IWSC trophy, Richard began marketing his Gibbston wine which quickly sold out. Things were looking great for the newly established business. Remarkable Wines’ 2008 harvest was a boomer.....in both quality and quantity....but that was the year of the Global Financial Crisis and the start of the recession. Most local wineries were largely dependent on exporting their wines, mainly to the UK and USA, the two countries hardest hit by the GFC. Wine is a luxury item and export orders evaporated overnight. 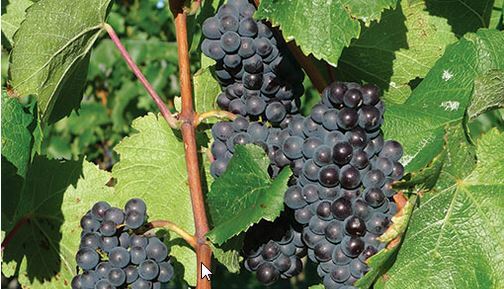 With the fall in demand for their wines, the need for larger wineries’ to purchase grapes from independent growers also fell. Richard was unable to find a buyer for his crop so he entered into a ‘grapes for winemaking’ contract with Olssens of Bannockburn. “They kept half of my grapes and made wine for me from the balance, with no money changing hands.” This meant the business suddenly changed from simply growing grapes to being a producer and wine marketing company as well as being a grape grower. In October 2011 Olssens were purchased by Mark Weldon and the name changed to Terra Sancta. Mark was intent on expanding his own production and terminated the ‘grapes for winemaking’ contract with Remarkable Wines, so Richard set about expanding his own boutique winery to become a commercial producer, albeit on a very small scale. He did have some knowledge of the business having completed a three year course in wine-making and viticulture at the Eastern Institute of Technology, but lacked the practical experience of working in a winery. He engaged a local wine-maker as a consultant to give him advice and provide laboratory services. The next three years were very difficult for the fledgling business with a series of disasters in the vineyard. During the night of the 6th November 6, 2012 Central Otago was hit by a blizzard.... a howling southerly snowstorm. If this had happened during winter when the vines are in hibernation it wouldn’t have mattered, but in late Spring, when the tender new shoots were exposed, the result was devastation, especially at Gibbston where our vines are on an elevated site. Grape vines are very resilient and new “second set” shoots eventually emerged a month or so later, but with such a late start to the season the resultant crop failed to ripen fully and a whole year’s work was wasted. Fortunately Bannockburn didn’t suffer so badly and we managed to achieve a good, although reduced, harvest from that vineyard. Frost is the biggest hurdle for grape growers in Central Otago to overcome and most vineyards have some type of frost protection. We have a wind machine on our Gibbston vineyard. These devices, otherwise known as “frost fans” are effective in temperatures down to minus 3 degrees, but they rely on an inversion layer of warmer air (lacking in a blizzard) being there to circulate. Our Bannockburn vineyard is protected with a “hot wire” system. We have a diesel engine powered generator connected to cables that extend up each row of vines and are wrapped around every cordon. When the temperature drops towards zero the generator starts up, the cables transfer their heat to the vines, thereby warming the sap which circulates through each vine, thus preventing frost damage. Our 2014 vintage was looking good until mid-Summer when the unusually humid weather conditions caused an outbreak of powdery mildew in this region. This resulted in another poor yield at harvest time, with overall tonnage down by nearly half of what we had budgeted for. Unfortunately no method of frost protection will prevent damage from an unseasonal hail storm, which is what happened here in early December 2014. Once again our resultant crop was affected, this time down by about 30%. Central Otago is the southern-most wine producing area in the world. Grape growing is a risky business at the best of times and now in an era of “climate change” it is becoming increasingly difficult to succeed in this business. Perseverance, determination and heaps of optimism are essential. For those who can survive the conditions down here, the rewards are well worth the struggle, as we are now consistently producing Pinot Noir of a quality unsurpassed by anyone in the world outside the grand cru vineyards of Burgundy.... and our “cool climate” white wines are rapidly gaining a similar reputation. Thanks to the quality of our wines, Remarkable Wines have survived despite all these setbacks and hardships. Each year we continue to enter our Pinot Noir in the IWSC competition and each year, each of our wines are medal winners.... one trophy, two golds, two silvers and one bronze. We are determined to continue in business and to keep producing award winning wines at very competitive prices. Meanwhile, with the recession over at last, demand for quality wines is steadily increasing with export volumes now at record levels. The wine glass is more than half full!